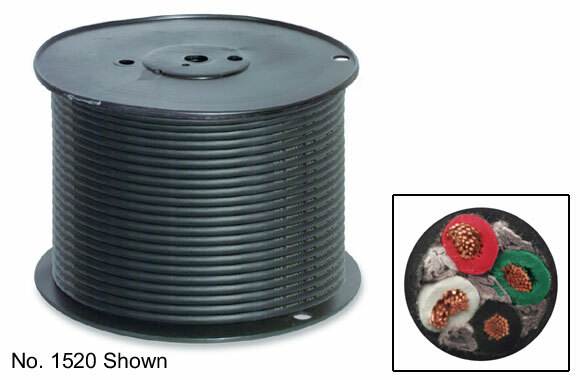 Flexible copper conductors with cotton separator and rubber insulation over each conductor. Color coded. 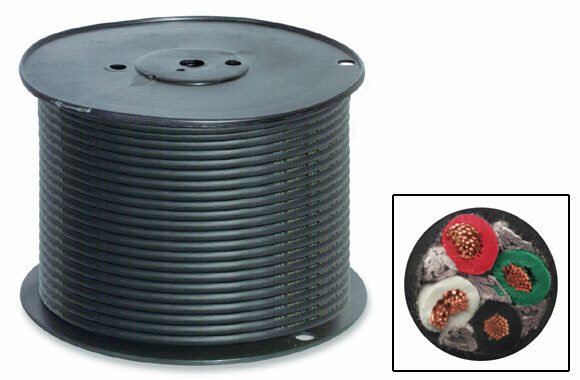 Conductors are cabled with cotton or jute fillers with overall cotton braid and rubber jacket. These cables are designed for heavy-duty industrial use and built to take a high degree of abuse. Furnished in rolls of 250 feet. Item: Electric power cables. Wire O.D. : .365". Capacity: 13 amps. Item: Electric power cables. Wire O.D. : .390". Capacity: 10 amps. Item: Electric power cables. Wire O.D. : .405". Capacity: 15 amps.